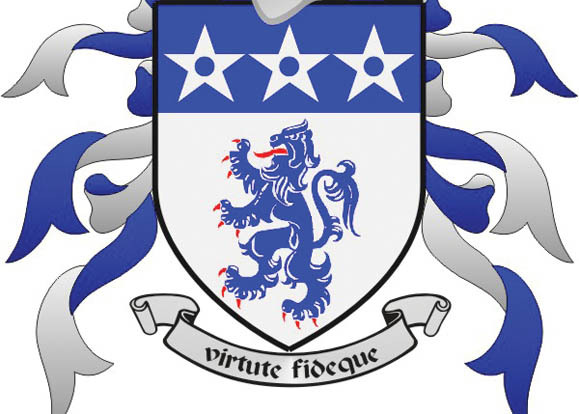 The name was first anglicized to O’Murry, ultimately shifting to Murray in the 1600s, but still owns variants in the names Murry, MacMurry, MacIlmurray, Morrow, MacMorrow, and Mac Murchadha, the clan descended from Dermot McMurrough (1110-d.1171), the deposed Irish king of Leinster and Dublin who will be forever blamed for inviting the English into Ireland in his effort to recover his throne. Whether the Murray clan truly originated in Ireland, or not, the name took a firm hold there. Counting among the 20 most common Irish names around the world, it has been worn proudly by a number of prominent figures, dotting both history and pop culture. 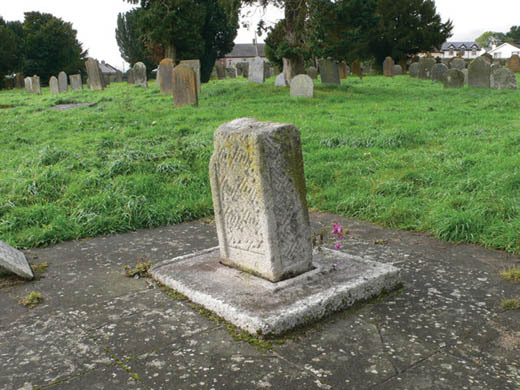 This is said to be the grave of Diarmait Mac Murchada (Dermot MacMurrough). Bishop Donogh O’Murry (b. 1501), of the Roscommon faction, served as the archbishop of Tuam for 26 years, starting in 1548. He was responsible for establishing the early episcopate of Galway (then known as the “Wardenship of Galway,”) permitting the province’s severance from Tuam, and overseeing its Church of Saint Nicholas elevated to the status of collegiate church. Adam Murray (d. 1700) was a 17th-century Protestant farmer from Derry, who enlisted in the Protestant Army in the 1689 War of the Two Kings. His strategy and courage are credited with keeping the Protestant side in the fight during the early years, and he was appointed commander of his hometown’s cavalry regiment after he and his men kept it from being taken by the Jacobites. Murray even turned down the role of governor to remain in active service. Sir Terence Aubrey Murray (1810–1873) was a 19th-century Australian farmer, native to County Limerick. He served in Australia’s fledgling parliament as the Speaker of the New South Wales Legislative Assembly from 1860–1862. Known as a diligent and fair leader, Murray was made president of the Legislative Council, the upper house of the governing body, which position he retained until his death. Murray’s sons carved out their own niches, with the eldest, Sir Hubert Murray (1861–1940), serving as a judge and then Lieutenant Governor in British-owned New Guinea. The younger son, Gilbert Murray (1866–1957), was a professor at Glasgow and then Oxford University, where he was renowned for his translations of Greek drama and poetry, particularly for his dedication to preserving rhyme schemes where predecessors had failed. Thomas Cornelius Murray (1873–1959) was a Cork playwright whose bleak dramas, mainly centered on the family unit and oppressive social norms in Ireland, made up an integral portion of the Irish Literary Revival. Murray co-founded the Little Theatre in Cork, where he produced an early version of his play Sovereign Love, and his plays were a regular feature of the Abbey Theatre in Dublin, founded by fellow Revivalists including Lady Gregory and William Butler Yeats. In the world of business, one of the early Murrays to make his mark was Robert Murray (1721-1786), who immigrated from County Armagh to Pennsylvania in 1732, and went on to establish himself as a merchant and shipping magnate in New York City. Today the Murray Hill neighborhood in midtown Manhattan, where Murray had a great house and farm, is a reminder of his success. Though he was not born to it, ballroom dancer and instructor Arthur Murray (1895–1991) made the appellation a household name throughout the United States, offering dance lessons under his franchise, Arthur Murray Studios. The chain was founded in 1938 and is still in operation today, years after his death in 1991. Born Moses Teichman in Austria-Hungary, he adopted the name he would use for the rest of his life in 1914, due to negative reception of names that sounded even remotely German after the start of World War I.
Ruby Murray (1935–1996) was a singer from Belfast who started performing publicly at the age of 12 in 1947, and continued until her death. Her trademark husky voice, a result of surgery on her glands as an infant, would eventually make her an international sensation: Murray goes down in history the first of a select few performers to have five songs ranked in the British Top Twenty simultaneously, in March of 1955. Her name alone became a British colloquialism as a rhyming synonym for curry, and Murray herself remains an iconic symbol of innocent, soulful ballads of the early 1950s, long after being ushered out by the introduction of rock and roll. Don Murray (b. 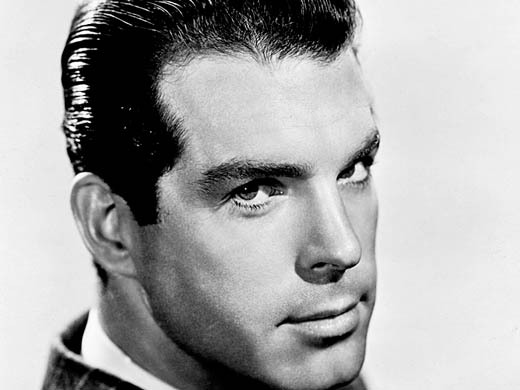 1929) is an American actor who was most active during the 1950s–80s. He was best known for his breakout film role in Bus Stop in 1956, in which he played opposite Marilyn Monroe, and was nominated for an Oscar. Murray also starred alongside James Cagney in 1959’s Shake Hands with the Devil, playing a Irish-American student in 1921 Dublin who gets caught up in the Irish War for Independence. Frederick Martin MacMurray (1908–1991) was an American actor, best known for his role in the 1944 film noir Double Indemnity directed by Billy Wilder, in which he starred with Barbara Stanwyck. He appeared in more than 100 movies and a successful television series; he played the widowed father on My Three Sons, from 1960 to 1972. 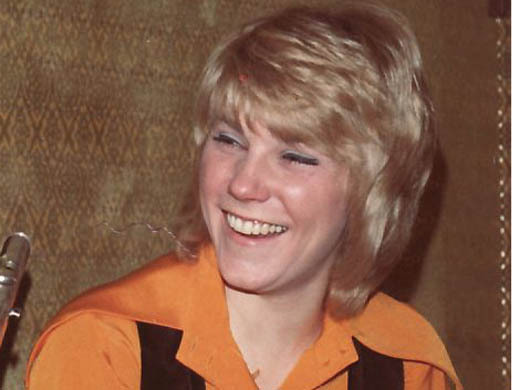 Canadian singer Anne Murray (b. 1945) is a pioneer in the music business in many respects. Touted as “Canada’s Songbird” during her career of thirty-plus years, Murray became the first female Canadian vocalist to have a number one hit in the United States. She was also both the first woman and the first Canadian to be awarded “Album of the Year” by the Country Music Association. With a career spanning multiple genres, including pop and country, Murray brought the surname of her Irish and Scottish grandfather, Daniel, to the forefront of the music industry. 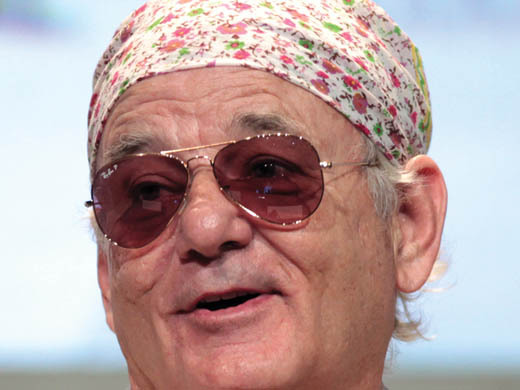 Actor Bill Murray (b. 1950) is best known for his memorable comedic performances in movies such as Caddyshack (1980), Ghostbusters (1984), and Groundhog Day (1993). First gaining note when he joined the cast of Saturday Night Live in 1976 in its second season, his roots are undoubtedly in comedy, but Murray has definitely shown significant prowess in drama as well, earning an Oscar nomination and Golden Globe win for his starring role in 2004’s Lost in Translation. Proud of his Irish heritage, Murray sat down for an interview with Irish America in 1988.